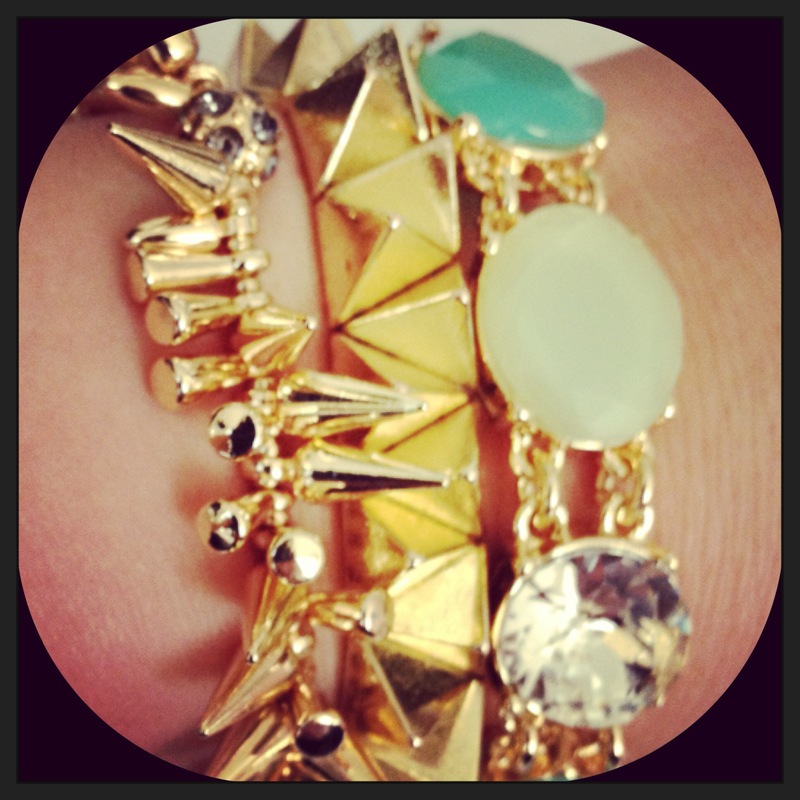 Obviously, bracelets are the big thing now. I used to be a fan of tiny, delicate accessories. Now I’m stocking up on large, bright and blingy statement necklaces, stack-able bracelets and huge rings. A friend of mine is starting her own jewelry business and is finding the most amazing items for her collection at great and affordable prices. Think J.Crew, Stella and Dot, Kate Spade-style accessories. 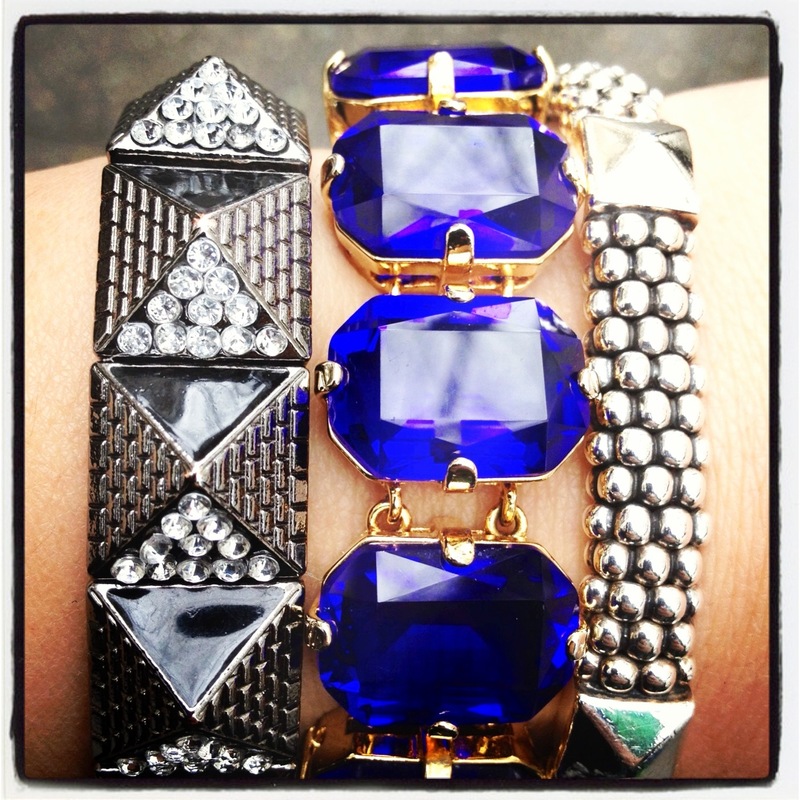 The Stella and Dot ‘Renegade’-looking bracelet on the left in the below pic she has for over half the price!! Check out her website at Emerald Bling. 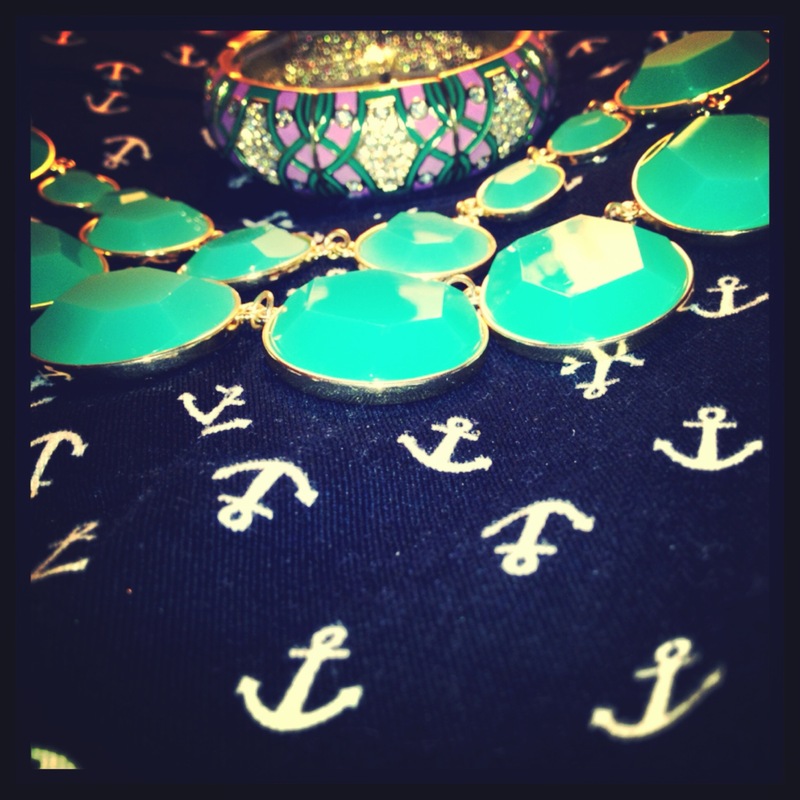 Especially loving the turquoise necklace with bright colors like Coral, Purple or Spring colors like Lavender or Pink! 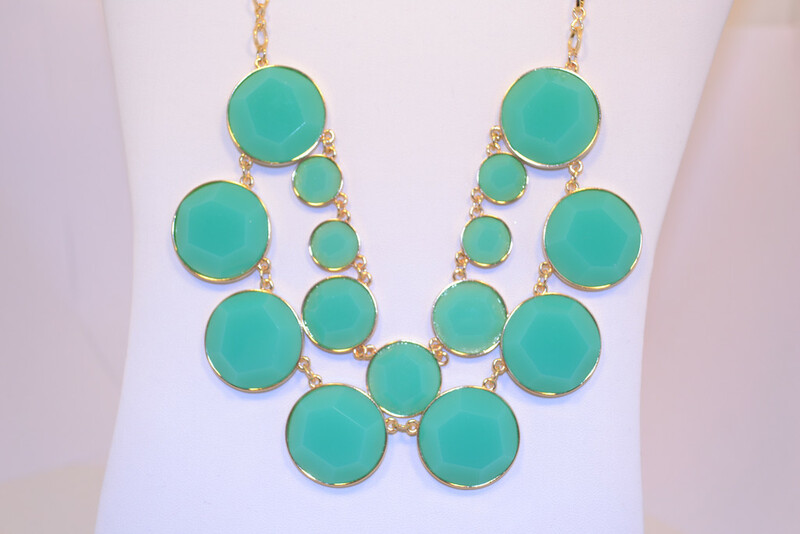 I paired it below with neutral colors as well – really makes the necklace pop! On another note, can Seattle make up it’s mind yet? Rain, Sun, Hail, Sun, Snow, Sun? I’m eagerly awaiting summer. Anyone else? 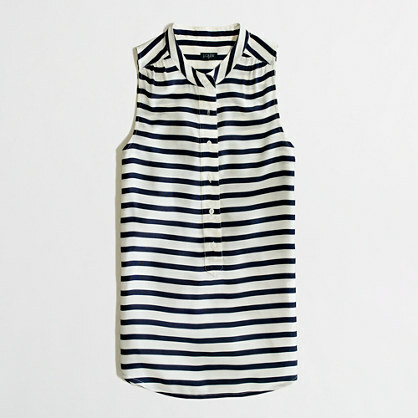 It’s evident after reviewing this week’s purchases my recent obsession with stripes, anchors and all things nautical. After a successful visit at the J Crew factory store at the Seattle Premium Outlets, I’ve itemized all of my purchases and 75% of them have navy, white, stripes, or anchors in them. Addict. The stripes addiction is another thing. 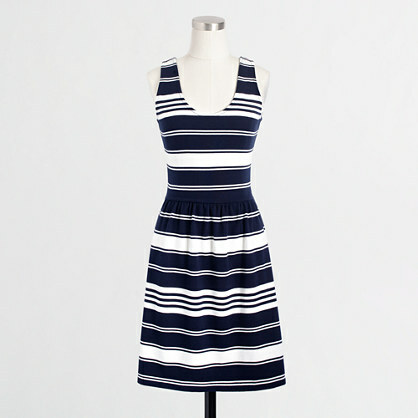 I purchased not one but three navy and white striped items (almost 4!) over the weekend. Nevertheless, the finds were too good to pass up! 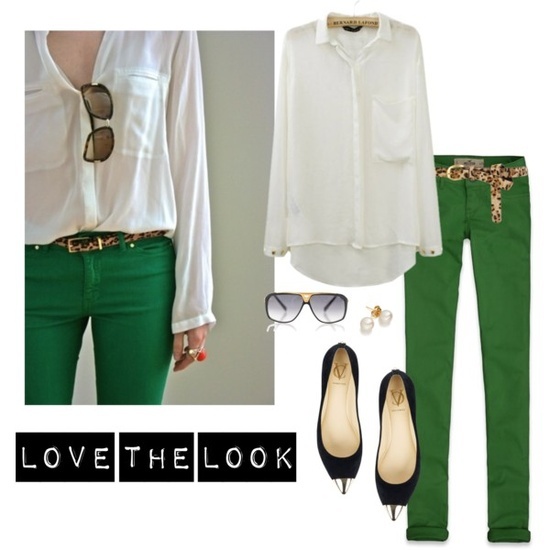 or with a crisp white shirt and thin leopard-print belt. Perfect summer outfit. 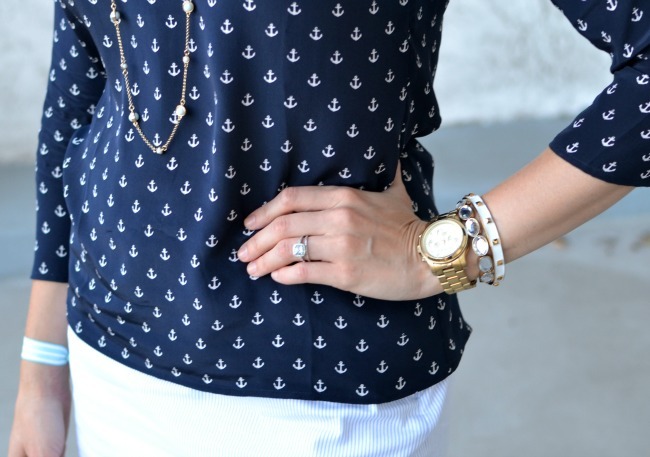 I am definitely enamored by these Anchor pants. They’re a little difficult to pair & wear – but a simple white shirt, bright statement necklace (similar to my gorgeous turquoise Emerald Bling necklace), and a vibrant blazer would work. Similar to this? Love her bright orange blazer. About me? I’m a frequenter of restaurants, a wanna-be gourmet cook/top-chef addict, a lover of fashion, an explorer of new places, loyal daughter, friend, and girlfriend. I love assimilating myself into new places, plunging myself into the social mores of every new location. I wish I had it more figured out – I thought I would by this time, but I don’t. And thankfully, all of the pretty and simple things along the way make my exploration process more enjoyable. My quest is to cover the pretty things in life – new places, new foods, new restaurants, new jewelry, new clothing, without forgetting about the seemingly mundane things that remain, everything in between that is truly amazing if you look hard enough.